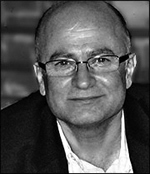 MAHBOD SERAJI is the author of Rooftops of Tehran, his first novel, which he originally started writing after being laid off from the corporate world. He arrived in America in 1976 to get a degree in civil engineering, and stayed after the overthrow of the Shah, to earn his Master’s and PhD. CAROL JAGO has taught English in middle and high school for 32 years and directs the California Reading and Literature Project at UCLA. She is the author of With Rigor for All and Papers, Papers, Papers, editor of California English, and president of the National Council of Teachers of English. SHERMAN ALEXIE is the winner of the California Young Reader Medal for his young adult novel The Absolutely True Diary of a Part-time Indian. He got involved in poetry while studying at Washington State University. He continues to write poetry, short stories, and novels. 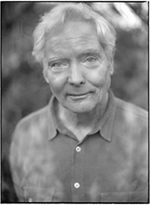 W. S. MERWIN is the current Poet Laureate of the United States. He has written over 30 books of poetry and prose over six decades, resulting in two Pulitzer Prizes and the National Book Award.. He has won two Pulitzer prizes and the National Book Award. He lives, writes, and gardens in Maui. JIM BURKE teaches at Burlingame High School and is the author of over twenty books, including What’s the Big Idea? and The English Teacher’s Companion. He was the founder of CATEnet, and received the 2009 Edublogger Award for Best Social Network in Education for his English Companion Ning.